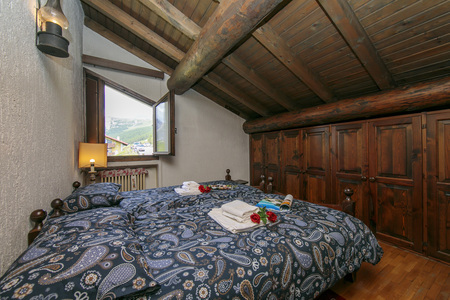 Enjoy a budget-friendly holiday base close to the ski shuttle bus, and the village amenities of Livigno! 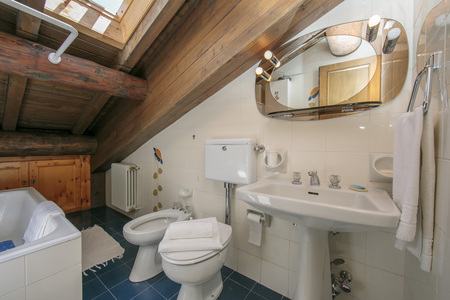 This authentic 1-bedroom apartment is situated to the 2nd floor of a pleasant residence and inside provides pet-friendly accommodation for groups of 2-4. 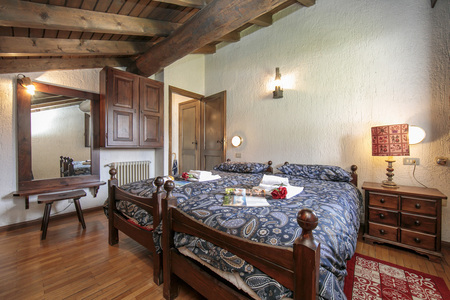 To the main entrance floor, an ambient open plan sitting room with SAT TV, a double sofa bed, romantic fireplace and rustic beamed ceiling accompanies a dining area and picturesque private balcony. The open plan flow easily sets the scene for laid-back moments together. 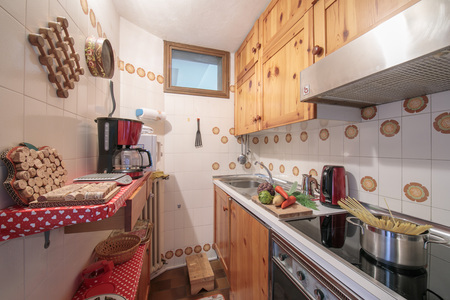 The WiFi-enabled apartment features an adjoining separate retro-fitted kitchen; for carefree meals in. To the same living room floor is a standard size double bedroom with wardrobe, ideal for a couple. 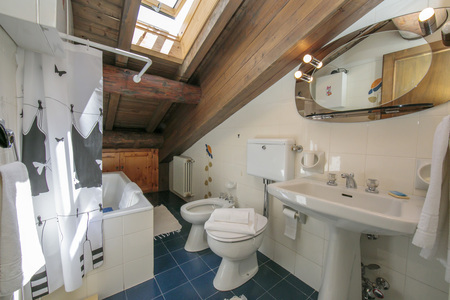 A traditional family bathroom suite is accompanied by a ski storage area and a private garage. The apartment is reached by 50 steps. 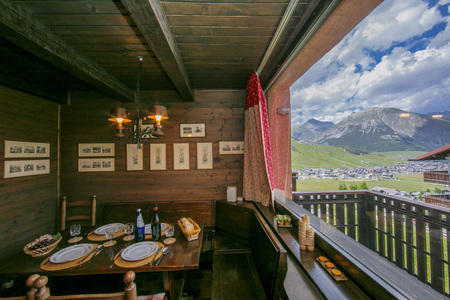 Outside, the residence benefits from an authentic setting which places guests 2km away from the centre of Livigno and 500 metres from the ski shuttle bus. Sleeping- Bedroom 1: A pleasant couple-friendly room with double bed & wardrobe Living room: A double sofa bed for 2 features within the living room Bathroom- Bathroom 1: A traditional family suite with bath tub, wash basin, WC & bidet Additional- • SAT TV (with foreign channels) • Free WiFi access • Fireplace • Central heating • Ski storage • Pet-friendly • Garage • 50 external steps • Unsuitable for the elderly Location: Just 2km away, the year-round Italian Alps resort of Livigno boasts an extensive range of restaurants, cafes and bars to complement a self-catering holiday, alongside live music venues and tax-free shopping opportunities. 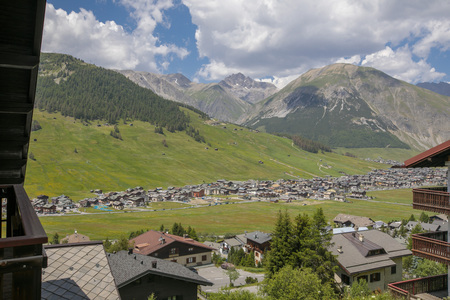 Offering a strong family-friendly appeal, the Livigno also offers a host of leisure pursuits and activities for all age groups to enjoy. 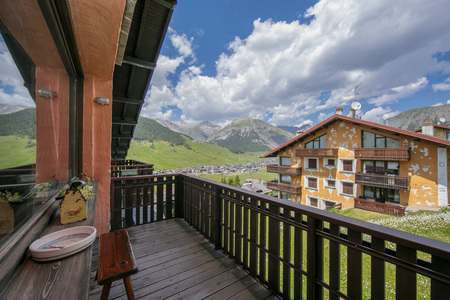 Perfect for winter sports, Livigno is home to one of the best Snowboard parks in all of Europe, as well as a great Ski school and a fantastic range of Ski runs; perfect for all ages and abilities. 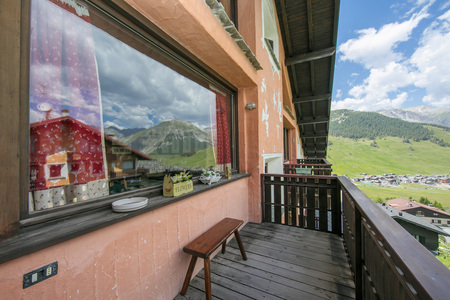 From Snow Go-karting, ice skating, zip wiring, horse riding and gym work outs to tree-top climbing at the Larix Park; there is also as much to enjoy off the Ski slopes! In the beautiful spring and summer months, hikers and climbers flock here. The Mottolino Bike Park (7 minutes’ drive away) offers a spectacular setting for cyclists too. For those looking to unwind after an action-packed day on the slopes or in the great outdoors, then the exclusive resort Spa promises the perfect indulgence.